long or deeply-nested comments become unreadable. Ideally, your development server should have a snapshot of your live production server’s database. Your workflow can be improved further if content is automatically synchronized when changes occur. WordPress stores various configuration settings in its database. This includes the domain name and paths which are used throughout posts and asset references. Importing this information into a local database (perhaps hosted at http://localhost/) will lead to undesired consequences. It may look as though it worked but image and link URLs could be taking you back to the live server. To add to the complications, WordPress serializes some data. It can be difficult to parse and change those values. Synchronization is less necessary and complicated when you’re a sole developer working on a local installation and uploading to a single live server. Life is more complicated for teams with multiple developers, staging servers, and possibly more than on production server. SitePoint runs on WordPress and contains many thousand articles, drafts and revisions. Even if fast incremental synchronization were implemented, you’re unlikely to want or need numerious megabytes of post data. WordPress stores uploaded images and other media in the local file system. Those need to be downloaded and the database references must be updated accordingly. You must also ensure theme and plugin files are synchronized, enabled and configured appropriately. That said, you possibly do not want certain plugins enabled, e.g. multi-site, caching, etc. Could your synchronization process fail? Is it possible for synchronization to be mis-configured so development data goes live? Is there a risk the live database can be corrupted or wiped? Whatever solution you choose, ensure you have regular file and database back-ups from your live and development servers. Imagine losing everything. A few minutes spent running mysqldump is less troublesome than many days spent re-writing lost content! Yes, but there’s no one-size-fits-all option. You may need two-way database synchronization. You may want one-way replication from live to development servers. Or you may want to push from development to live. You may require just pages. Or do you want posts, comments, users and other data? Is database data enough or do you want all media assets? Would you prefer to synchronize manually, at predefined intervals, or automatically? Perhaps the best-known and easiest choice is the WP Migrate DB Pro WordPress plugin from Delicious Brains. The commercial product has a Media Files add-on and multi-site capabilities but a free edition is also available. Note data is pulled using in-browser Ajax methods so large databases can take time to synchronize. WP Sync DB is an open-source fork of WP Migrate DB. VersionPress is a Git-based version control plugin for WordPress which can manage database merging. The product is in development but seems promising. Offering free and commercial editions, WPSiteSync permits real-time synchronization of pages, posts and other data. Database Sync is a free database-only synchronization WordPress plugin. It has not been updated for some time and is not compatible with multi-site installations but may be enough for some developers. If you prefer a safer, more manual process, WordPress Importer exports posts, pages, comments, categories, tags, authors and other data to an XML file which can be imported into another installation. This is also a good option if you are building a live site from posts in a development system. SyncDB is a bash script which synchronizes local and remote WordPress databases. The WordPress WP Staging plugin is able to clone data and files from live to development or staging servers. The WordPress GitHub Sync plugin allows you to synchronize content allows you synchronize content from a GitHub repository or Jekyll-created website. This could be an interesting option for teams requiring content editing collaboration and pull request approval workflows. The PushLive plugin duplicates staging to live sites with a single click. Multi-site WordPress installations are supported. A commercial online service which allows staging data to be merged into your live database. 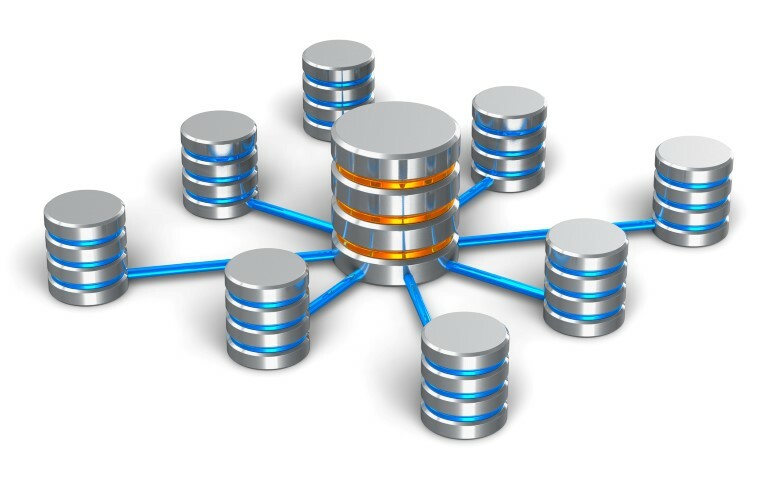 Most good MySQL database management tools offer database import, export and/or synchronization facilities. The free MySQL Workbench or is a good place to start. More advanced tools such as SymmetricDS provide features such as data transformation and filtering. Finally, you could consider options such as MySQL replication to automatically replicate data from the live master database to development slaves. mysqlpump — a new MySQL back-up utility introduced in v5.7.8 which should offer faster parallel processing and compression. Note that it is not backward-compatible with earlier versions of the database. task runners such as Gulp.js or PHP alternatives such as Robo, Task and Bldr. Do you have a perfect WordPress development and deployment workflow? Please leave your suggestions below! For awesome WordPress hosting, we recommend SiteGround. SiteGround offers automated WordPress core and plugin updates, daily backups, and SSL certificates for free in every plan.